There is a very good reason why our Retail Centre and Group has been crowned the Sunday Times Best Big Company to work for 2016 – let our team’s passion ensure you have THE best experience when buying a vehicle from us! "We would love to showcase our pride and joys to you so if you have found a used Volkswagen that you think could be the one, feel free to come for a tailored test drive and get to grips with the features and controls on a route that suits you! 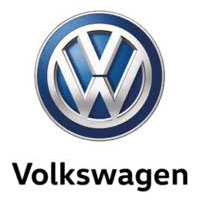 Being the largest Volkswagen Retailer Group in the UK you can be confident in knowing we have the widest choice of vehicles, all representing fantastic value for money, often coming with free servicing packages, finance deposit contributions to name but a few! If you’re still undecided, feel free to come and relax with a coffee and free WiFi whilst one of our amazing team can provide you with any info you may need! "